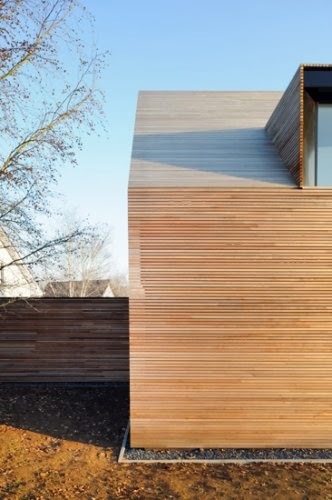 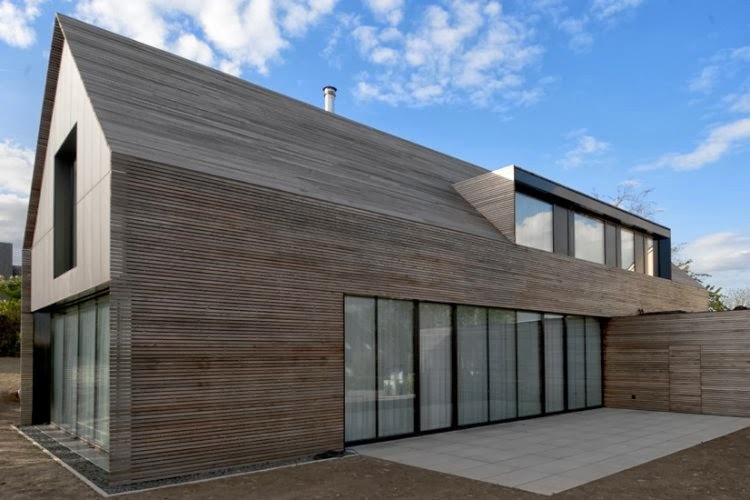 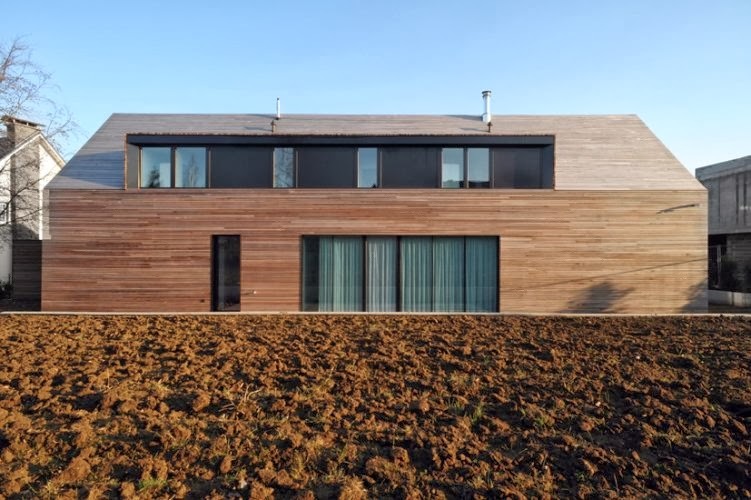 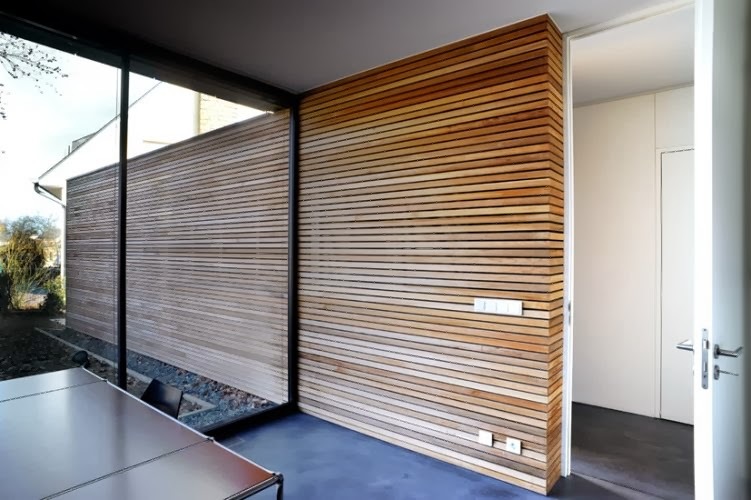 Luxembourger based architect Steinmetzdemeyer designed this residence in the small town of Filsdorf in Luxembourg, within a traditional neighborhood. 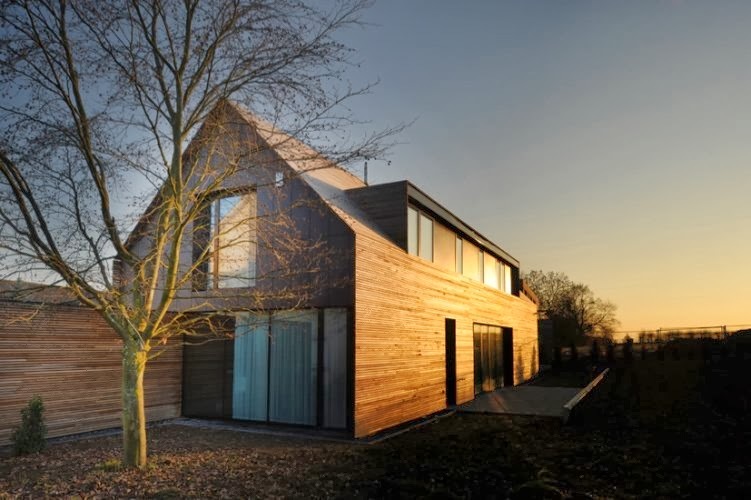 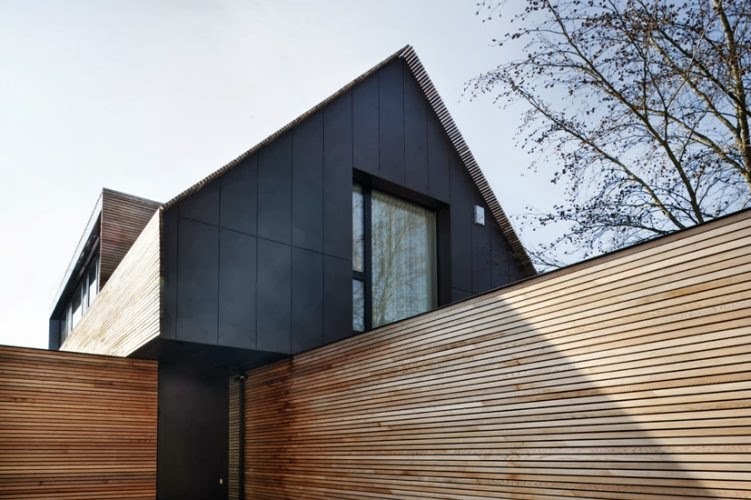 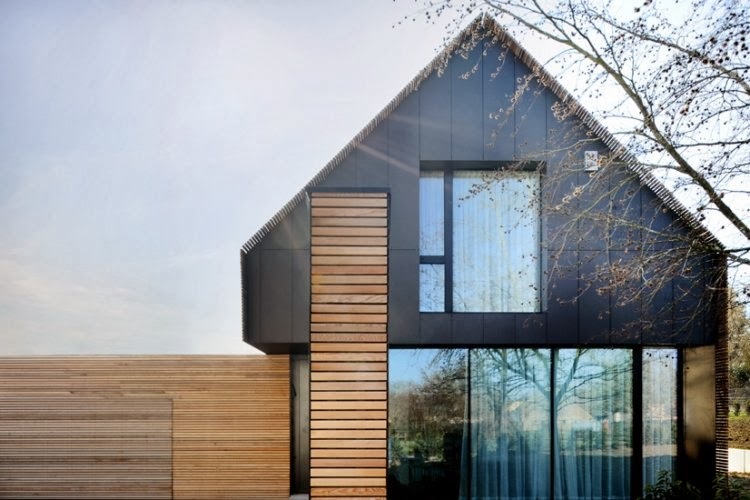 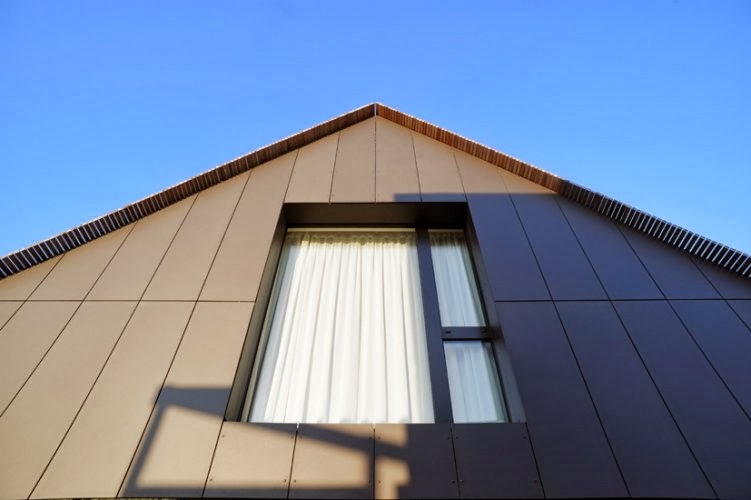 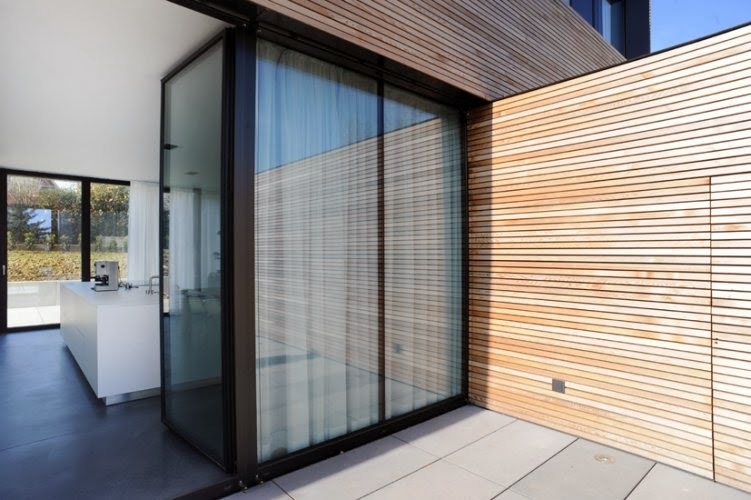 The building’s shape follows historical architecture forms with its pitched roof in a contemporary style, with elegant red cedar cladding on all surfaces of the exterior, combined with black cement fiber panels on side elevations. 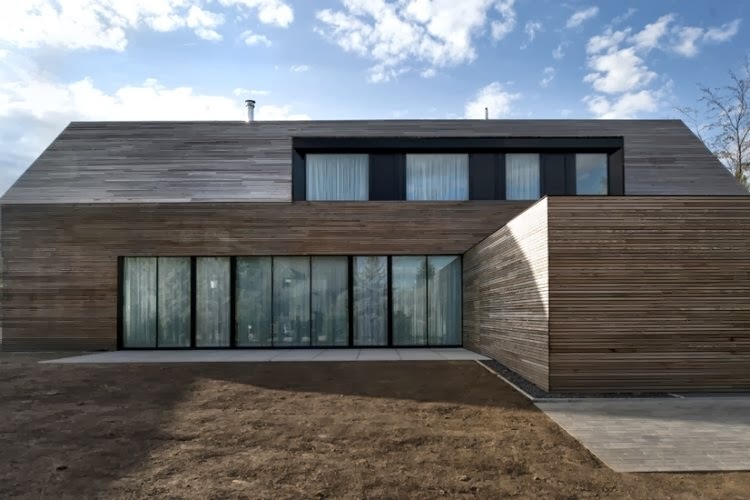 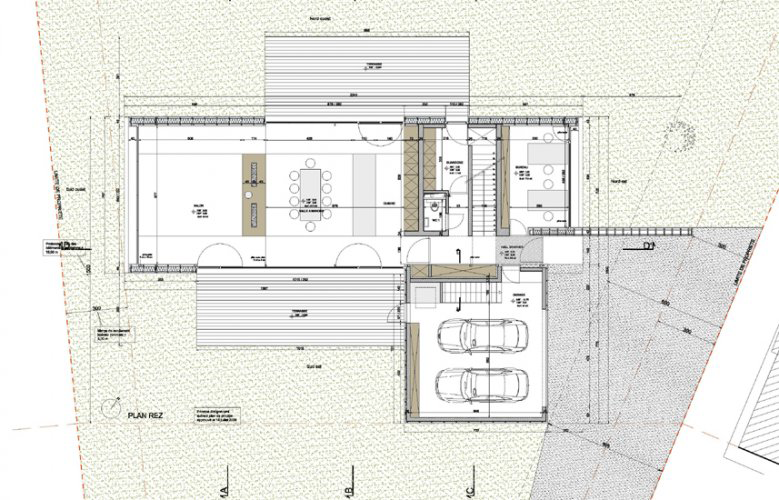 Large glass doors open to the garden and patio at the ground floor, while at the upper level a long dormer window optimizes use of space, light and views. 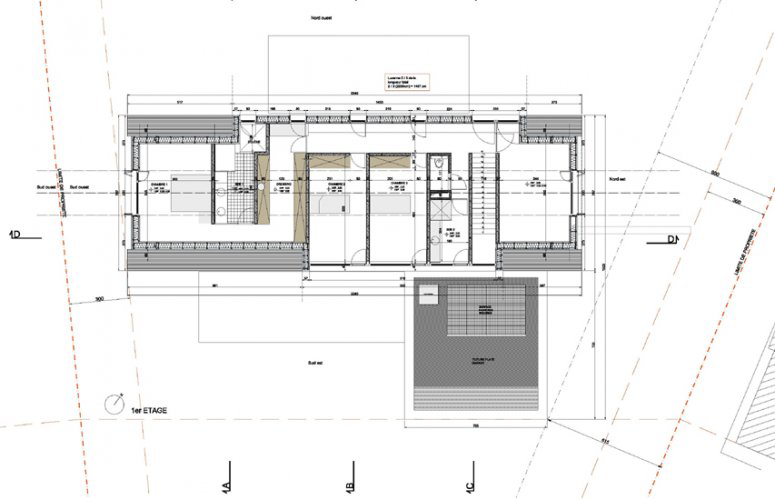 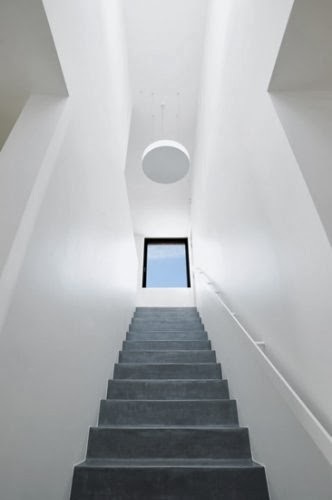 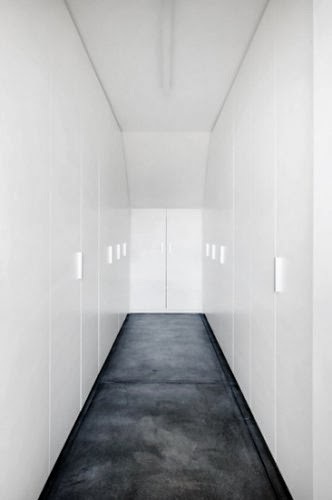 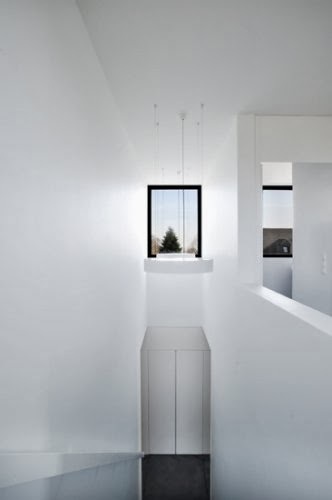 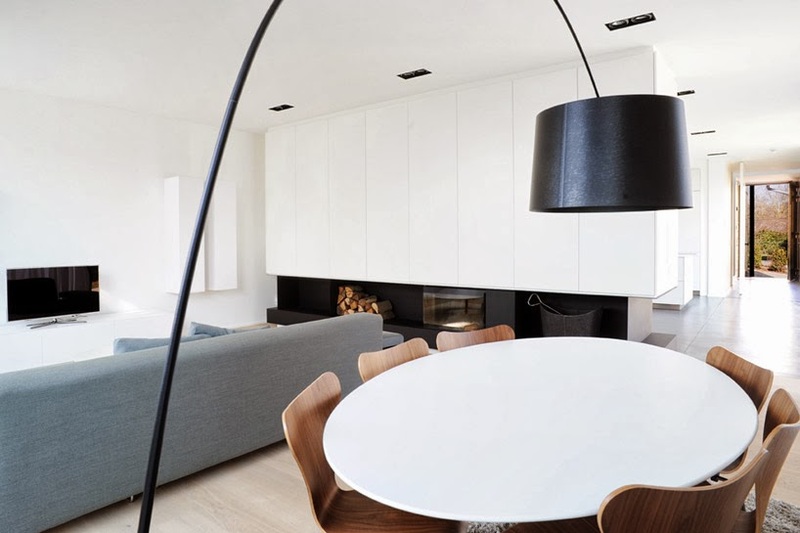 The interior features beautiful minimalistic concrete floors and stairs with all white wall surfaces and cabinets.